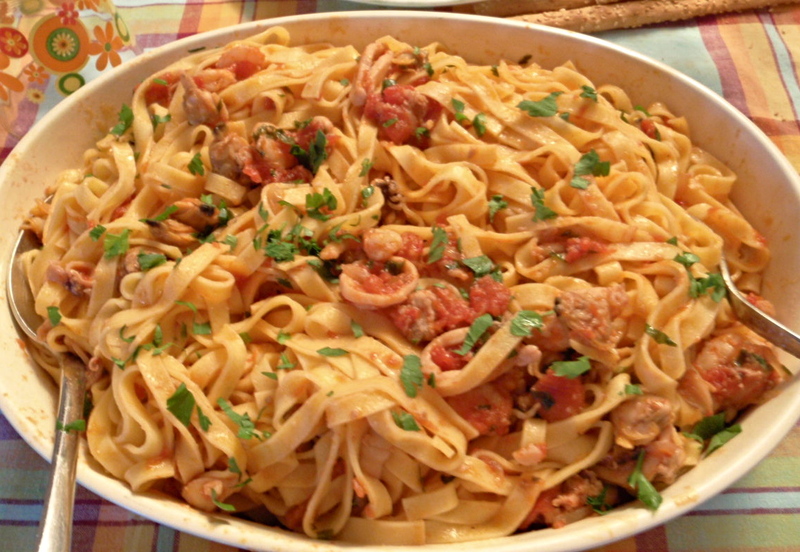 I have been asked many times by my friends for the recipes of various Italian pasta or risotto. In Milan, I have the opportunity to learn from some of the best cooks for the most authentic Italian dishes. 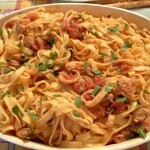 So today, I am going to share with you “Spaghetti alla marinara”. First, soak and wash the clams. 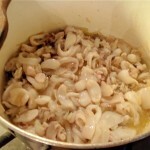 Put in a pan with a bit of oil and cook till all clams are opened. 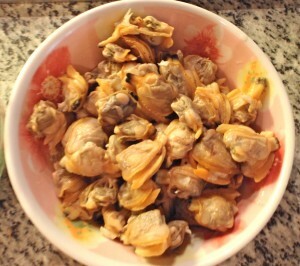 Remove from pan and take out all clams from shells. Leave it aside. 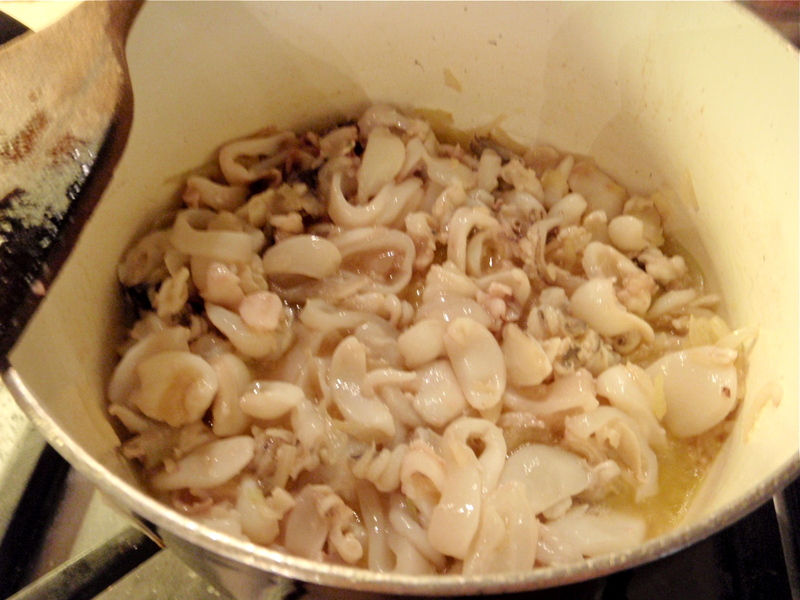 Wash and cut squid and octopus into tiny pieces. 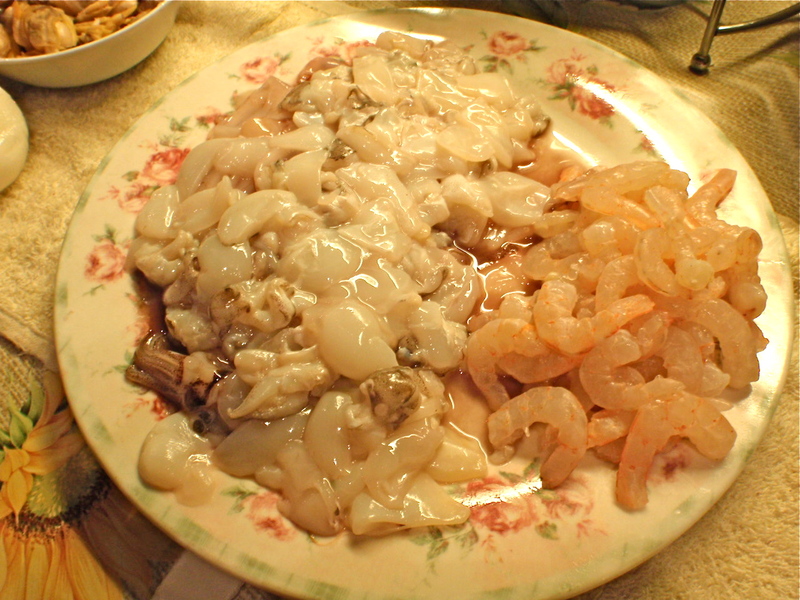 Wash and remove the shells of the shrimps. 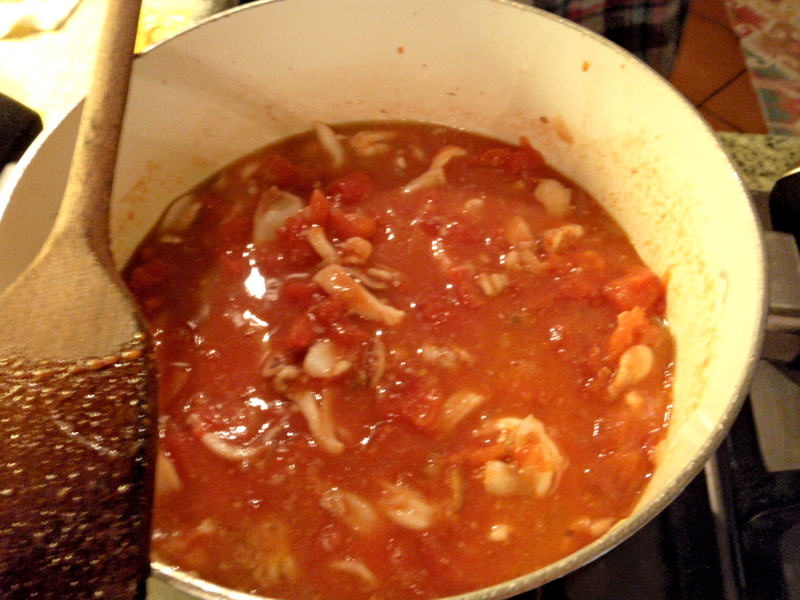 Cut onion , tomatoes and chili pepper into small pieces. Cut parsley into small pieces. 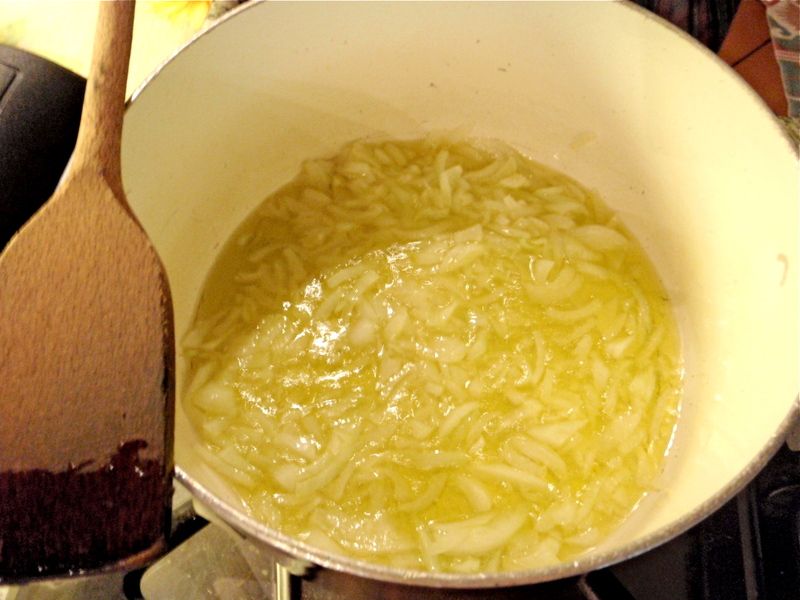 In a pot or pan, heat up 2-3 tablespoon of olive oil with medium heat, put in onion and cook until translucent, then add in chili pepper. Then put in shrimps and clams and cook for another 2-3 mins. Season with salt according to personal preference. 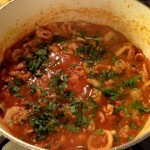 Add in parsley (2 teaspoon) then spaghetti. 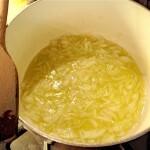 Make sure all spaghetti are coated with sauce. 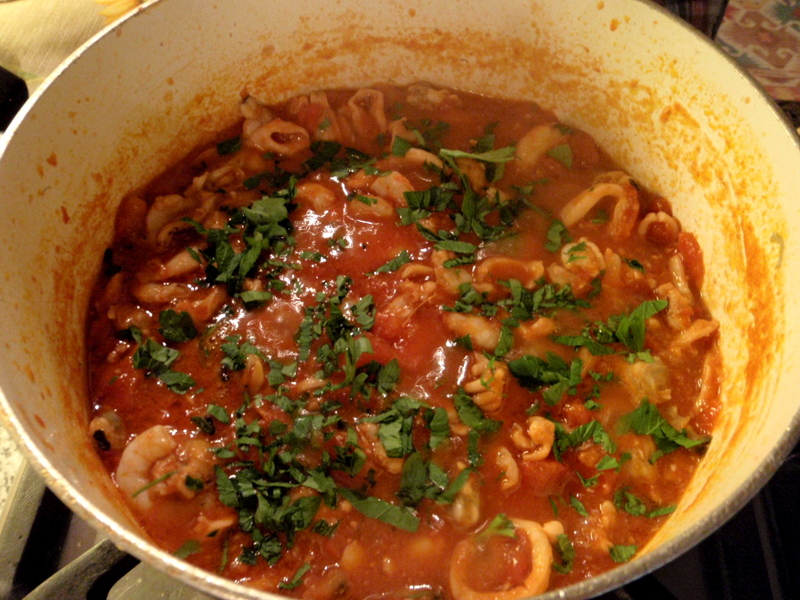 Transfer onto casserole and garnish with parsley. 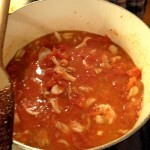 This entry was posted in Recipes and tagged marinara, spaghetti. Bookmark the permalink. Thank you so much for your kind words and for sharing with your friends. I really appreciate it. Please keep coming back.